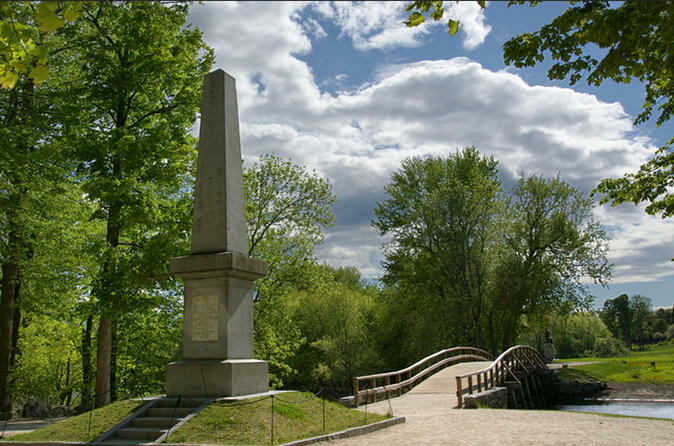 We travel to the North Bridge in Concord where you will learn what really happened on that fateful April 19, 1775 when the shot heard round the world was fired. You will be surprised to learn that what actually happened and what the history books tell us happened are not the same thing. Then travel to the Visitors center in Lexington where the story of what really happened continues. Depart southern NH at 8:30am, Boston at 9:30am. We travel to the North Bridge in Concord where you will learn what really happened on that fateful April 19, 1775 when the shot heard round the world was fired. You will be surprised to learn that what actually happened and what the history books tell us happened are not the same thing. Next on to the Visitors center in Lexington where the story of what really happened continues. You will have time to walk on Lexington Green and relive part of history. Discover why the militia was hiding behind walls and trees in what was considered guerrilla warfare. Discover the real reasons the British troops were marching out of Boston. Discover who made the ride to Concord, it was not Paul Revere.